Jazz hands will be used instead of traditional clapping, whooping, and cheering at University of Manchester Students’ Union (SU) events, following a motion voted through the first Senate session of the academic year, held on Thursday 27th September. It was argued that the loud noise of traditional clapping and whooping pose an issue to students with anxiety or sensory issues. BSL (British Sign Language) clapping – or, jazz hands – would be a more inclusive form of expression. Liberation and Access Officer Sara Khan authored the motion, called ‘Making Senate More Accessible’. 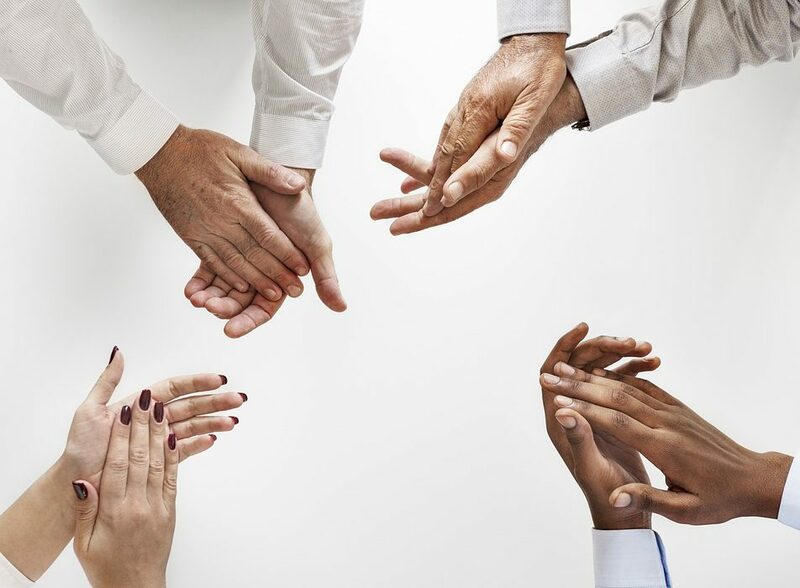 It resolved to swap out audible clapping for BSL clapping at SU events, and to “encourage student groups and societies to do the same, and to include BSL clapping as a part of inclusion training”. The National Union of Students (NUS) has been using BSL clapping since 2015. Khan’s motion received little opposition in Senate. Thrice per semester, the SU holds a Senate session where students can bring forward motions to amend the SU constitution. All motions are voted on by attendees, which include a variety of stakeholders in the student community: for example representatives from University halls, student media representatives, random members of the student body, and our SU exec officers. Each motion needs a 66% majority to get passed. Sara Khan also proposed a second motion to the September Senate, campaigning for greater QTIPOC (Queer, Trans, and Intersex People of Colour) inclusion and advocacy. The motion steers the SU to “ring-fence £500 for QTIPOC events and campaigns” and “include representation of, support for, and advocacy for QTIPOC in the role descriptions for part-time BME, LGBTQ and Trans officers”. Sara Khan herself was absent from Senate. This meant the Senate’s questions about which fund the £500 would be ring-fenced from were unanswered. As a consequence, they voted to postpone the motion for the next Senate session, which will be held on Thursday 8th November. The September Senate passed another motion titled: ‘Lobbying UoM to Make Resit Examinations Flexible for International Students’. This motion resolved to “actively lobby the university to enable international students to undertake resit exams in their home countries”. Author Riddi Viswanathan noted: “Other Russell group institutions enable their international students to undertake resits in their home countries through partnerships with British council centres or other university verified assessment centres”. Viswanathan expressed interest in expanding the accessibility of remote resits to national students, after it proves successful with international students. The fourth motion was to ‘Make Islamophobia Awareness Month, Black History Month, LGBT history Month and Global Week Compulsory Campaigns’. This motion was not passed. A number of Senate attendees were made uncomfortable by the word ‘compulsory’. “Might this mean exec officers have to forsake some of their other duties to accommodate this?” Laura, the Fallowfield Community Officer, asked.